This is not my first time seeing the wonderfully gifted Frank Turner live, but an artist as talented and engaging as Frank begs you to come back for more. I was lucky enough to catch him 3 times in 24 hours earlier this year at SXSW in Texas, and each show was unique and entertaining. 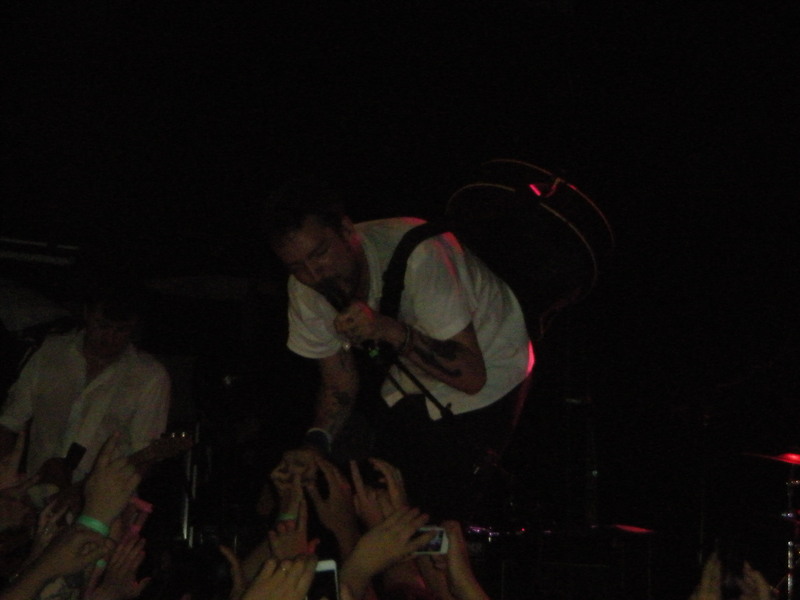 This was my seventh time seeing him live, but it was also my girlfriend’s very first Frank Turner show. She’s not a fan of his work, as his style isn’t her cup of tea (her words, not mine… although I appreciate the British humor in that line) but she was a good sport and tagged along. 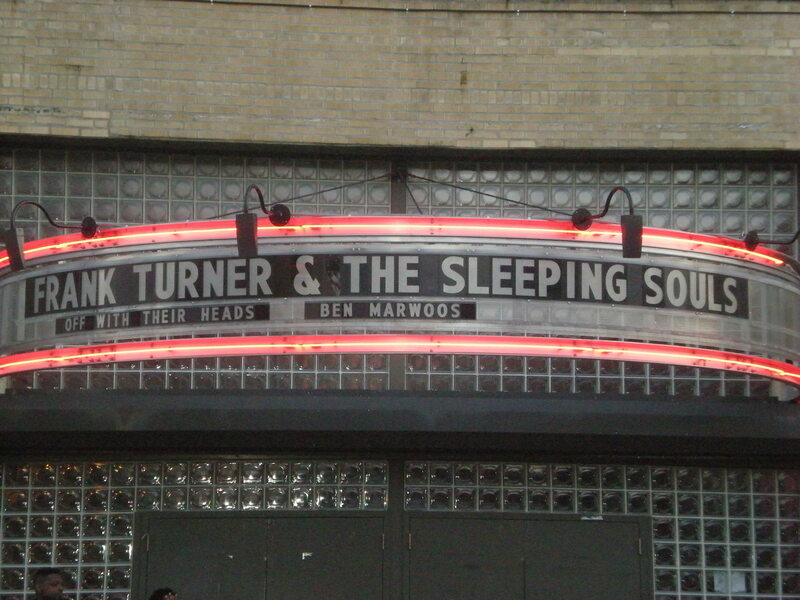 The Music Hall of Williamsburg only holds about 500-600 people so it was an small room to play in, though he did schedule two shows (both sold out fairly quickly). But as a fan, it’s been fun watching Frank’s U.S. audience grow exponentially with each stateside tour. I had never heard of the opener, Ben Marwood, but I always love checking out new acts, and seeing someone perform live first is an interesting experience as you can bypass the issue of studio recorded music and just catch someone in their raw, natural element. Despite being his first U.S. tour, Ben seemed comfortable, if not a little awkward, but commanded the stage well and told engaging stories that drew applause and laughs from the crowd. 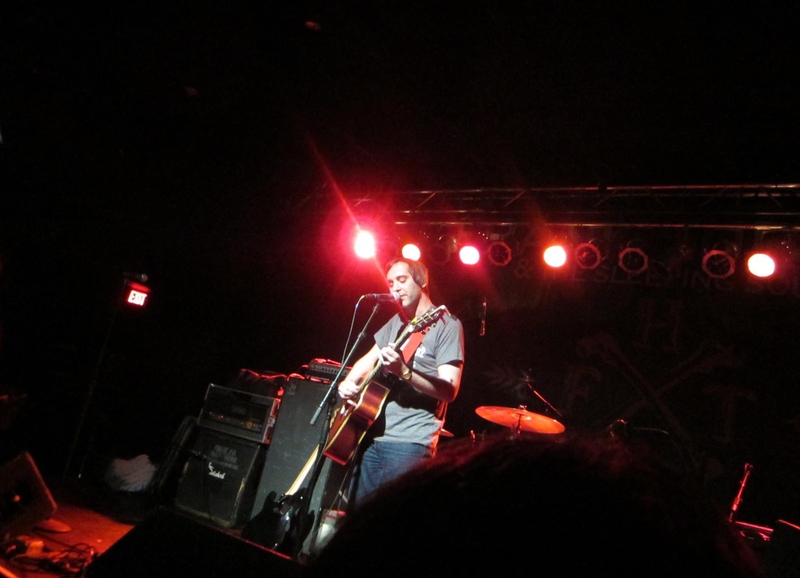 His British humor and accent fit well opening for Frank Turner, and it was clear he was appreciative of the opportunity and took advantage of it. 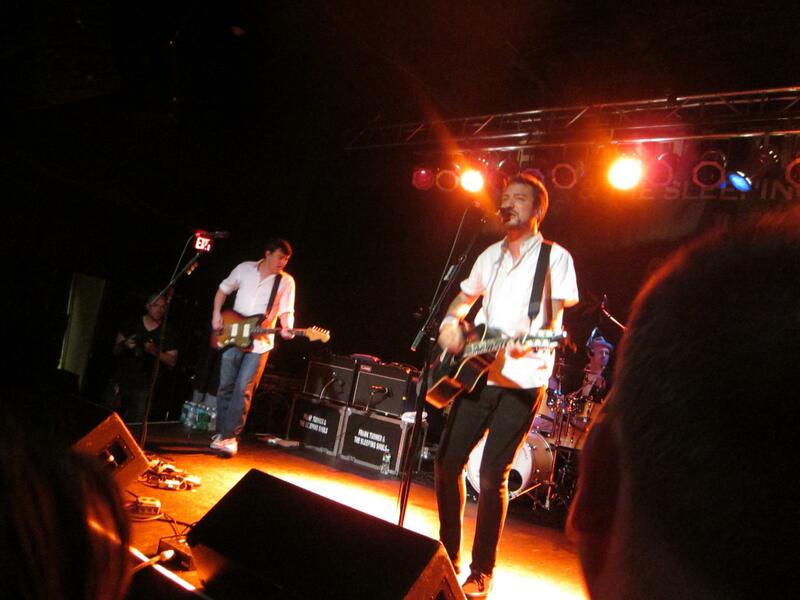 The fight did little to deter the excitement for Frank Turner, who opened his set in style with the catchy, raucous jam “I Want To Dance” which prompted dancing, clapping, stomping, and singing in typical Frank Turner fashion. He played a 21 song set that was very heavy on his last two incredible albums, England Keep My Bones and Tape Deck Heart. He stopped only to tell his stories of heartbreak, drinking, home, and friendship, including an episode of drunk dialing a member of The Dropkick Murphys and stories of his hellish experience spent in an un-air-conditioned Brooklyn shop while writing Poetry of the Deed in the summer of 2009. As always, Frank was engaging and on-point with his live set, which is one of the main reasons people continue to come back (like my girlfriend’s friend Alex, who saw both Brooklyn shows and has now gone to 16 total Frank Turner shows). He comes off as truly humble and appreciative of his fan-base and his audience, always remembering the people who have been there with him since the beginning and sprinkling some old classics into his set like “The Real Damage” (one of my personal favorite songs) and “I Knew Prufrock Before He Got Famous”. However, it’s always great to see that Frank Turner fans love his new work just as much as his old stuff, which is a testament to how consistent of a songwriter he is. He began playing songs off Tape Deck Heart way back in 2011 and fans have always shown appreciation and a love for them. Songs like “Tell Tale Signs”, “Recovery”, “The Way I Tend to Be”, and “Plain Sailing Weather” received huge ovations and have become live staples in Frank’s set. The encore brought the best surprise of all. Even though he retired the song at his Wembley Arena DVD performance (2012), Frank brought out old favorite “The Ballad of Me and My Friends” to everyone’s delight. There is nothing cooler than a sold out Frank Turner show shouting “And we’re definitely going to hell!” in defiant unison. He closed his set with fan-favorites “I Still Believe” and “Photosynthesis”, where he implored all the fans to sit down at one point before jumping up and bringing everyone together in harmony and excitement one final time, which is the true mark of a great Frank Turner show. As always, the show was memorable and Frank remains one of my favorite live acts. Though he’s still not my girlfriend’s cup of tea, she said that he put on a fun live show and can see he’s a very gifted musician. She’s even been listening to his stuff more the past few days to try to get into him, and says she likes Tape Deck Heart, which is more than I could have asked for. The long wait for Frank’s next NY show (at Terminal 5, which holds 3000 people!) has begun. November 27 cannot come soon enough. 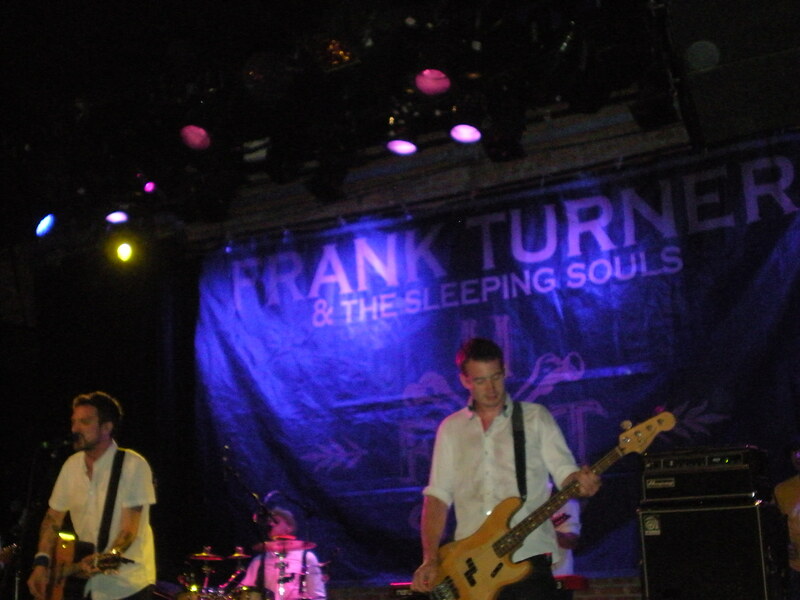 Frank Turner has always been known for his live sets, and once more he delivered. Sunday night in Portland he played an intense twenty-one song setlist, featuring songs from his latest four albums. Each song was delivered with passion and conviction, along with a seemingly endless supply of energy. Frank bounced around the stage all night, even standing on the barricade on several occasions to serenade the crowd up close. The crowd responded to his performance with equal passion and enthusiasm, singing along throughout the set and not only when prompted. At one point Frank even managed to convince the crowd, or at least all the people as far as I could see, to play the air harmonica for the solo in Dan”s Song. The story goes that Frank used to invite a fan onstage to play a real harmonica solo for the song but then he lost the harmonic. Hence the air harmonica. It’s funny to think that over in England Frank is huge; just last year he played a sold out show at Wembley Arena to 12,500 fans. 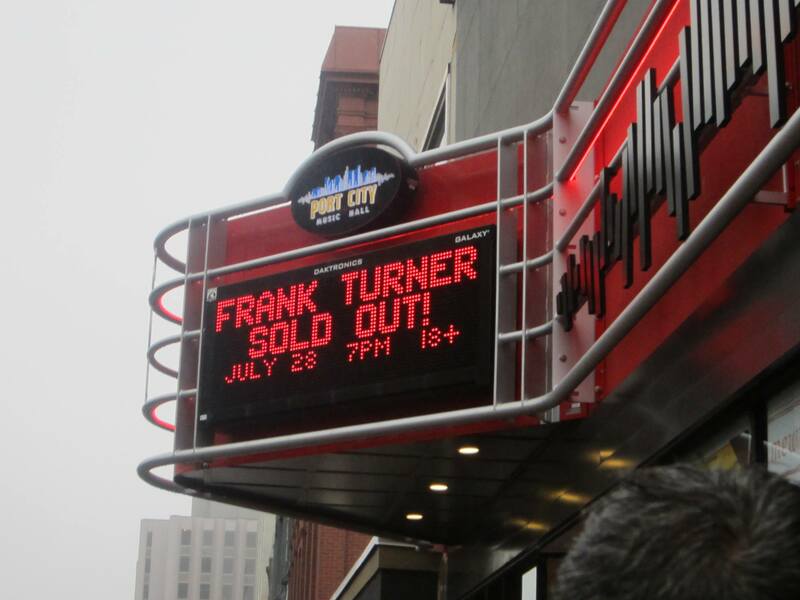 Last Sunday I had the honor of seeing him preform a sold out show at Port City Music Hall to just 550 fans. I can’t really complain, however. I managed to snag a spot in the second row behind some reasonably short people and was thankfully able to see for the entire show, something I can’t often say. I prefer seeing bands in smaller spaces if truth be told. 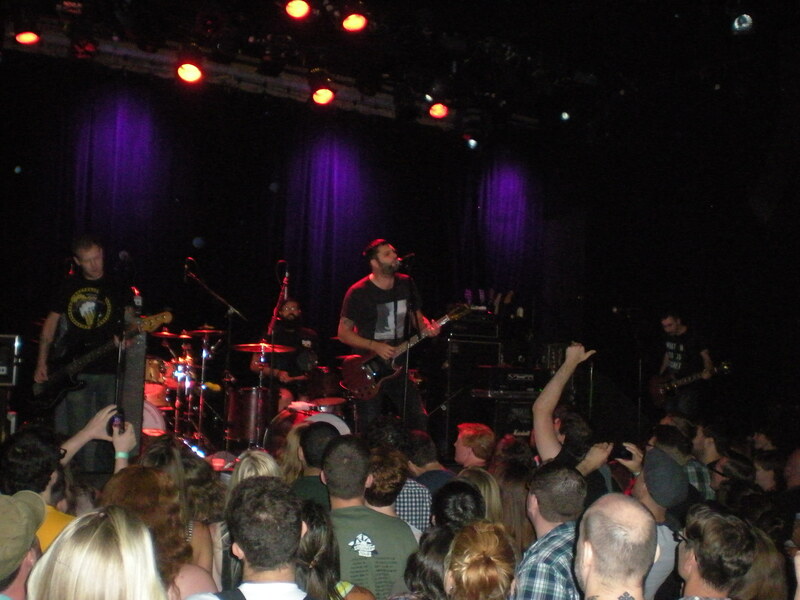 There’s something much more intimate in seeing bands in small venues like that one. Frank deserves all the success he can get and I doubt he’ll be playing small shows forever, but I’ll treasure them while they last. The entire show was fantastic from start to finish. Frank has such an incredible catalog of songs I didn’t even know which songs I wanted to hear the most but the final set list was impressive. I was surprised when he played Broken Piano because while it was one of my favorites off the new album it didn’t seem like something that would be played at a show. The first time I saw Frank I was mostly familiar with England Keep My Bones, but this time I was proud to know the words to every single song and sang along at the top of my lungs. 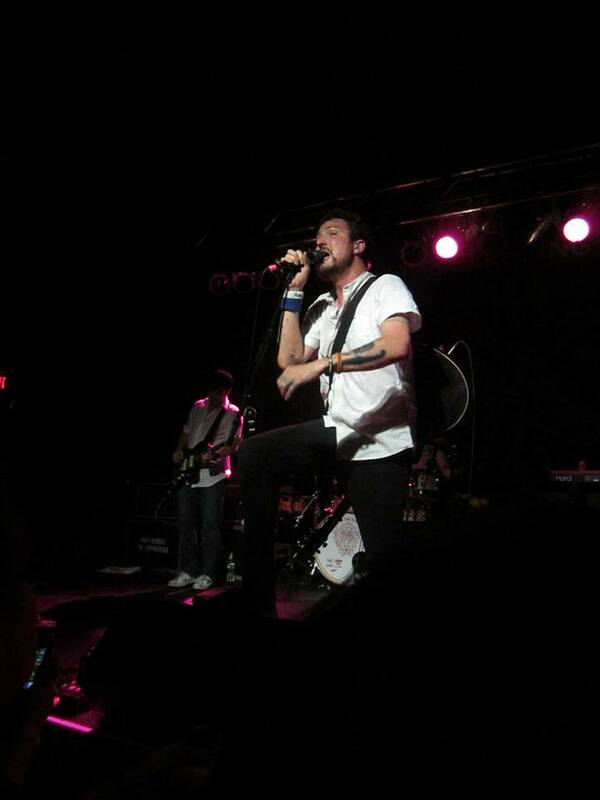 Seeing a Frank Turner concert, to me, is like a religious experience. He’s one of those artists I can relate to because he’s so honest and open in his songwriting. You don’t have to have experienced the exact same things as him to feel the same emotions. And that’s what I love about him. Though this was mostly meant to be an article about Frank Turner I just wanted to put a brief shout out to one of the opening acts. Ben Marwood (pictured below) opened the show for Frank and did an amazing job. When I heard he was going to be playing at the show I looked up his stuff (thank god for Spotify). I immediately was captivated. He reminds me of Frank in a lot of ways, but his music is a little more simplified. I was immediately a fan, but seeing him live sealed the deal. 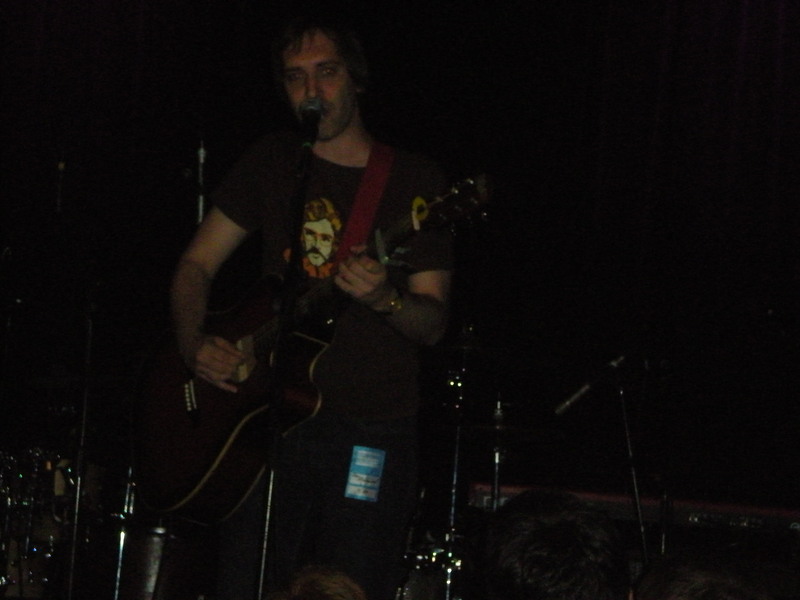 He was charming and personable, joking between songs to the crowd like we were old friends. I didn’t manage to meet him during the show because I was saving our spot in the crowd, and I somehow missed seeing his stuff at the merch table after. Hopefully his first US tour goes well and he’ll decide to come back and tour again sometime soon. If you are a fan of Frank Turner you should check out Ben’s music. Actually, you should check out Ben’s music regardless (you can find his music for free on spotify and it’s available to buy on iTunes).